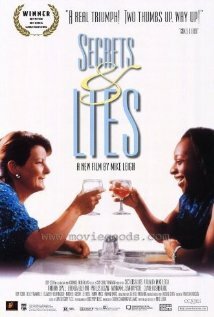 The Academy Award-nominated “Secrets & Lies” will be offered as part of the Great British Film Festival at 7 p.m. Tuesday, Nov. 1, in Cornell Auditorium. Director Mike Leigh unfolds the story of Hortense, a young, black optometrist whose adoptive parents have recently died and who befriends Cynthia, a depressed, unmarried mother who works in a factory. A web of relationships and painful truths emerge as Cynthia’s daughter, her brother and his wife encounter one another in a family reunion. The 1996 film was named Best Film at the Cannes Film Festival and was nominated for five Academy Awards.